Home / Vlog / Vivi’s Kitchen Garden 83: Dealing with my clay soil. 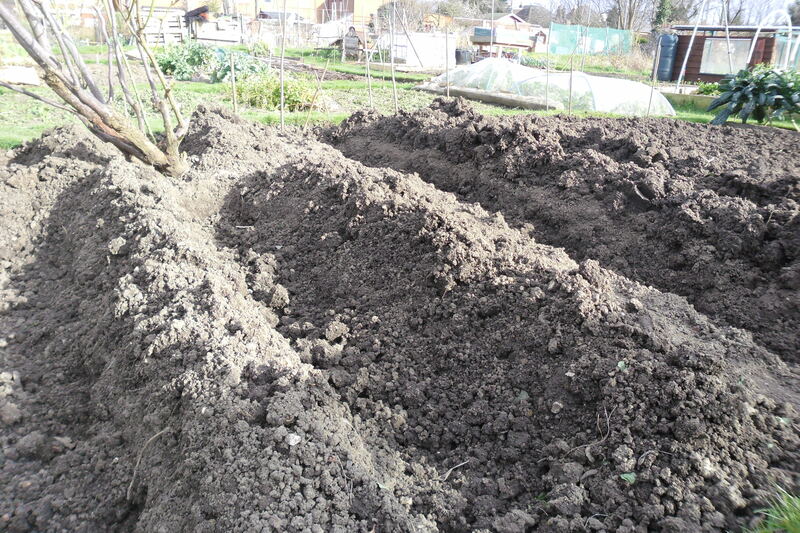 Vivi’s Kitchen Garden 83: Dealing with my clay soil. It’s been a tough three days getting trenches ready for potatoes and turning the field beans (green manure) in – not helped by such a wet winter. It isn’t my favourite job….so I’m happy it’s done now. Previous post: Vivi’s Kitchen Garden 82: Finishing the fence! Next post: Vivi’s Kitchen Garden 84: Pricking out and potting on – peppers and celeriac.